What general insurance support is available for Mobi-C? What if my insurance company denies the use of Mobi-C? What to expect after Mobi-C surgery? When should I call the doctor after surgery? What is Mobi-C’s history of use? How many degrees of motion does Mobi-C have? In what direction does Mobi-C allow motion? Can Mobi-C be used in an MRI scanner? Can I receive a Mobi-C if I have a nickel allergy? What if my surgeon is not on your surgeon locator list? How does a surgeon get on your surgeon finder list? What surgeons have the most experience with Mobi-C in my area? How do I know if Mobi-C surgery is right for me? I have had a previous cervical fusion; can I still get a Mobi-C at a different level? Can Mobi-C be used in the lumbar spine? Can Mobi-C be used at more than two levels in the cervical spine? Is there data available regarding the life expectancy of Mobi-C? What happens during Mobi-C surgery? How does surgery using the Mobi-C compare to fusion? What will my surgery cut (incision) look like? When can I shower after Mobi-C surgery? When can I drive after Mobi-C surgery? Will my Mobi-C affect travel through airport security? What are the instructions for activity limitations after my procedure? As coverage varies state-to-state and payer-to-payer, we recommend that you direct questions regarding insurance coverage to the billing department of your surgeon's or hospital's office. Additionally, directly contacting your insurance company and/or your Human Resources department is another way to better understand your policy. Zimmer Biomet provides reimbursement support through our Reimbursement Hotline. For more information, visit the Insurance Coverage page or contact a Reimbursement Specialist toll-free at 1-866-946-0444 (Monday - Friday 8AM - 5PM Eastern) or email reimbursement@zimmerbiomet.com. Zimmer Biomet is dedicated to expanding patient access to Mobi-C. The appeals process allows health plans to review denials in accordance with their medical policies and clinical guidelines. We encourage you to review your case with our Reimbursement Specialists at 1-866-946-0444 or email reimbursement@zimmerbiomet.com in order to determine if Zimmer Biomet can help you with your appeals process. Ask your doctor to describe how you will feel and what you will need to do to recover from cervical disc replacement surgery. Anterior cervical spine surgery is a major surgery. Getting better will take time. How fast you get better depends on your age, your general health, and the reason for the surgery. Your doctor may recommend exercise with the help of a physical therapist. As with any surgery, it is extremely important to follow your doctor’s direction after surgery. Here are some examples of directions to follow after surgery. Your doctor’s directions may be different. Stay one night in the hospital. Sit, stand, and walk the night after surgery. Take medicine (by mouth) for pain or sickness of the stomach (nausea) as needed. Put a new, clean bandage on the cut five days after surgery. The doctor or nurse may show you how to change the bandage. Set up a time to visit your doctor to check your healing. Your doctor may take X-rays to look at the Mobi-C placement in your neck. Get direction from your doctor on when it is OK to return to your normal neck bending and turning. Talk to your doctor about a physical therapy plan. Ask your doctor to describe how you will feel after surgery. Some pain and discomfort is normal. The problems you had before surgery may not lessen right away. Talk to your doctor about when to call with problems after surgery. If you have any of these problems at any point after surgery, call your doctor. The incision is draining. Although, you can expect some wetness. The skin around the incision becomes red, warm, swollen, or increasingly painful. Pain or problems with swallowing (dysphagia), talking (dysphonia), or breathing. It is common to experience some mild, temporary discomfort with swallowing. More tingling, numbness, pain, or weakness in the arms or neck than you had before surgery. 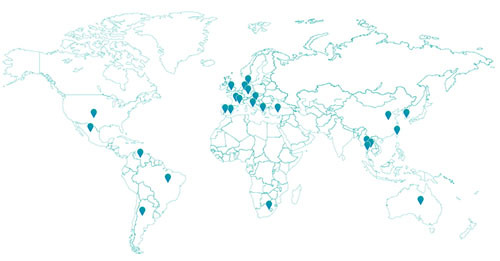 To date, Mobi-C has been implanted over 40,000 times in 25 countries. The Mobi-C has three parts: two metal plates and a medical grade polyethylene insert in the middle. The insert slides across the bottom plate, left-to-right and front-to-back up to 1mm in any direction. The insert also twists over the bottom plate. The two tabs on the bottom plate provide a safety stop designed to control movement and keep the insert in place. With vertebra and muscle movement, the Mobi-C is free to bend left-to-right (10° in each direction) and front-to-back (10° in each direction), as well as rotate. Yes, under certain conditions a patient with a Mobi-C can be safely scanned in an MRI system. For more information on the scan conditions, please refer your health care professional to the MRI safety information in the Mobi-C Instructions for Use. 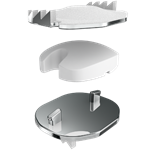 The Mobi-C Cervical Disc should not be implanted in patients with known allergy to sensitivity to the implant materials (cobalt, chromium, molybdenum, titanium, hydroxyapatite, or polyethylene). Cobalt chrome alloy, in general, may contain trace amounts of nickel – up to 1.0% by mass. The surgeon finder is a free service, helping patients to find qualified surgeons. Since surgeons must choose to be included in the surgeon finder, the surgeon finder list on www.cervicaldisc.com/surgeon-locator may not represent the complete list of all trained Mobi-C surgeons. You should inquire directly with your surgeon about their Mobi-C training status and surgical experience. Zimmer Biomet cannot make surgeon recommendations or share a surgeon’s Mobi-C experience. We invite you to visit www.cervicaldisc.com/surgeon-locator, where you can search for trained Mobi-C surgeons in your area. Every surgeon on the locater has attended a Mobi-C training, which includes detailed lectures on product design, surgical technique, and Mobi-C study data. Training also includes hands-on practice with the instruments, which for many surgeons was conducted in a bioskills lab. Patients should ask their surgeon about their Mobi-C surgical experience. Is for adults; the vertebrae must be mature (age range, 21-67 years). Takes the place of one or two adjacent damaged cervical disc(s) from levels C3-C7. Spinal cord (myelopathy) or nerve roots (radiculopathy). This can cause a loss of feeling, loss of movement, pain, weakness, or tingling down the arm and possibly into the hands. Inner disc squeezing through the outer disc (herniated nucleus pulposus). Degeneration of the spine from wear and tear (spondylosis). There may be bony growth (osteophytes) on a vertebra. Loss of disc height at the affected level(s) compared to the levels above and below. Have signs or symptoms that their condition is getting worse even with other medical treatments. Please see the “Am I a Candidate” section of CervicalDisc.com to see if you qualify. Patients with prior cervical fusion at any level were not studied in the Mobi-C clinical trial. The Instructions for Use approved by the FDA include prior cervical surgery as a precaution. Please consult with your surgeon about the use of Mobi-C in this situation. No. Mobi-C is only indicated for use in the cervical spine at one or two adjacent levels for levels C3-C7. Mobi-C is only indicated for use in the cervical spine at one or two adjacent levels for levels C3-C7. No, Mobi-C is not considered experimental. In 2013, Mobi-C was approved for use in the U.S. by the Food and Drug Administration (FDA). Mobi-C has been successfully used in hundreds of U.S. hospitals and in thousands of U.S. patients to date, and over 40,000 global implantations. No significant damage to the polyethylene insert or the metal plates. Mobi-C was then implanted and studied in patients. The testing data and two years of patient clinical data were reviewed by the FDA as part of the Mobi-C approval process in the U.S.
Zimmer Biomet cannot predict the Mobi-C life expectancy for each patient. However, Mobi-C has been implanted over 40,000 times, in the U.S. since 2006 and in Europe since 2004. The surgical approach and preparation are largely the same for Mobi-C and fusion surgery. You will lie on your back on a table and be put into deep sleep (anesthesia). Once asleep, your neck area is washed. A clean (sterile) sheet is taped around your neck. A cut (incision) is made on your neck. Your doctor will move the muscles, the airway (trachea), the esophagus, and blood vessels to the side. This makes a tunnel to the spine. Using a special X-ray (fluoroscopy), your doctor will pass a thin needle into the damaged discs to check the levels for surgery. Your doctor will remove the damaged discs and put in Mobi-C. Fluoroscopy may be taken during surgery to check Mobi-C placement. The muscle and skin incisions will be sewn together with surgical thread (sutures). A small bandage or biologic glue will be placed across the incision. While asleep, you will be moved to a new area (Recovery Room). Nurses will check your blood pressure, heart rate, and breathing. If you are in pain, you may be given medicine. Once awake, you will be moved to a different room. Before artificial discs, such as Mobi-C, most often a patient would get an anterior cervical discectomy and fusion (ACDF). Both a fusion and a disc replacement surgery occur from the front of the neck and have similar operative steps. In both surgeries, the doctor removes the unhealthy disc. The empty disc space is filled with the chosen implant. 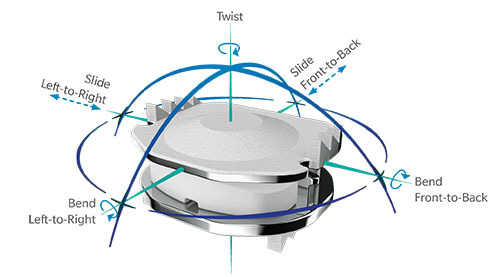 The implant helps match the disc height to the levels above and below. Restoring the disc height can help remove pressure on the nerves and/or spinal cord. The cut will likely be a short incision in the front (anterior) part of the neck. The doctor normally makes the cut in a line you already have in the skin on your neck. The cut generally heals so that it is difficult to see. You will need to keep your incision dry immediately after surgery. Some doctors allow early showering. Patients normally take baths for 1-2 weeks after surgery. Get direction from your doctor on when it is OK to start showering. Ask your doctor when you can start driving after surgery. The timing varies from patient to patient. Typical instructions following a Mobi-C surgery include avoiding heavy lifting, repetitive bending, and prolonged or strenuous activity for a period of weeks to months depending on the post-operative process and instructions from your surgeon. Returning to work after Mobi-C cervical disc replacement depends on your doctor's advice and your own recovery process. Most patients return to work within six weeks of surgery. In the U.S. Mobi-C clinical trial, the return to work time was 20.9 days shorter for Mobi-C patients compared to fusion patients for two-level surgery and 7.5 days shorter for Mobi-C patients compared to fusion for one-level surgery.